Plagiarizing is normally bad, but if it meant that your content would be seen by a lot more people and you’d have a level of control would you do it? It is as simply as copying your original article and then paste it elsewhere. It can give you up to 5000% increase in readers of your content. It’s not exactly plagiarizing if you do it with your own content. It’s really “republishing”. By republishing I mean literally copying your content to other websites in hopes of getting referral traffic back to the original source, which is your website. By keeping your content just on your website you are literally missing thousands of people that might be interested in your content. The reason why republishing is a good strategy lies in the audience of each platform. Suppose your blog generally only reaches around 10,000 people monthly. But of course you want more, right? The simple answer to that is by “letting go” of your content and republishing it to places that already have the same audience as you are. This strategy works best for small to medium blogs, as they can literally feed off the more popular site’s popularity. Think of it as leeching your way up to more traffic. 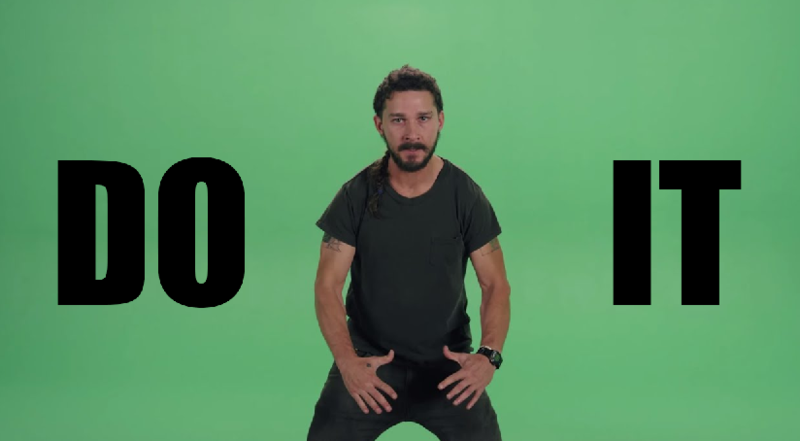 It is completely legal and many sites want you to do this. It’s very similar to posting updates on Facebook and Twitter. Facebook has a very different set of people that you might want as an audience, and so does Twitter. If you only publish updates on Facebook, you are basically missing on the Twitter folks. You don’t have to worry about your site getting penalized for duplicate content. As long a few days before republishing your content on other platforms, Google will almost always recognize you as the source. Where possible ensure you always link back to your site as the source, or at least have a link back to your site in there somewhere. Another trick I really like to do is to change the headline and intro slightly. This helps you customize it for the other audience, test out a different headline, and have this adjusted version of the article rank for a slightly different set of keywords. The content you publish on your website and elsewhere is a reflection of who you are. If you publish sub-par content and republish it elsewhere, you are basically announcing to the whole world that you are bad at what you do. As with any content strategy, focus on great engaging content. Always aim to inform, educate, entertain and/or help people, while also keeping in mind the primary aim of your content… whether it be to increase awareness of a product or idea, grow subscribers, or something else. Republish strong content. You don’t have to republish everything to other platforms. Just the great ones. Whether you choose to keep the best content for your own site only is a call you have to make… the smaller your audience, the better it is to simply republish. Do not simply post an excerpt and tell people to continue reading on your website. Many sites won’t accept that. Instead you can reference other articles on your site. One or two is enough. Over do it and it looks desperate and spammy. Of course it is a given that your “flagship” content should remain on your own website. That’s Stupid, Why Give Others My Audience? 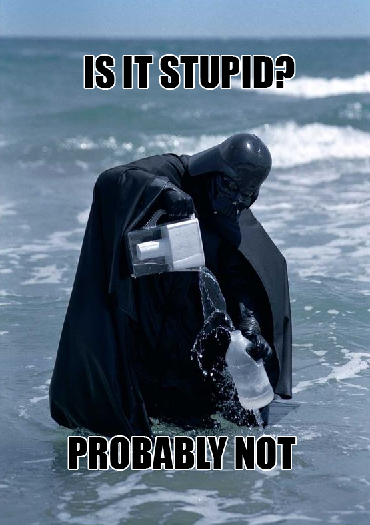 Darth Vader is actually turning seawater into drinkable water. Stupid? Nope! So, is giving away your content for other sites stupid? Good question. But a better question is: Will I ever get those audience for myself with my website alone? The answer is probably not. Imagine if your low-key blog that has an audience of 10,000 people monthly gets one of its blog posts republished on Forbes (with permission from you, of course). 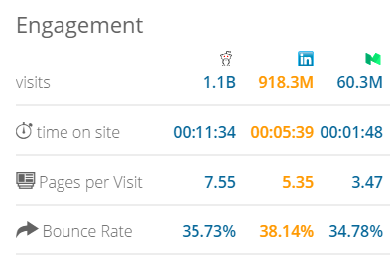 According to SimilarWeb, Forbes commands 117.20M visitors monthly. That is a stellar difference between your site’s potential and theirs. And if your content is a hit and manages to snag 1% of their audience…can you imagine the numbers? That’s 1.7M people who will see your content that otherwise wouldn’t on your little blog. And suppose among those 1.7M people only 1% of them click the link you will place at the bottom of the article. 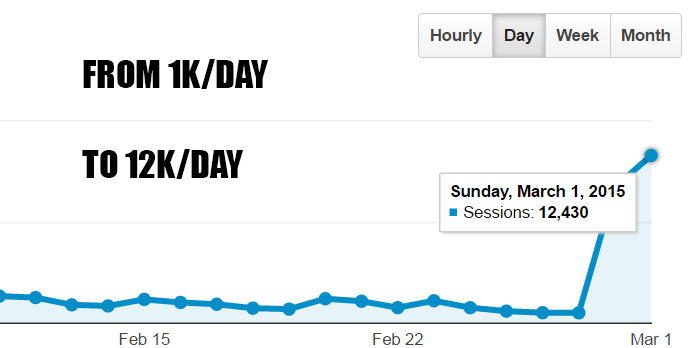 That’s 170,000 referral traffic. Of course this is an oversimplification, and unlikely (but possible!) but you understand the point. It opens you up to a much bigger audience. “That’s Actually Brilliant!” So Where Do I Republish My Content? According to Alexa, Medium.com’s traffic is ranked at 268 in the United States. Meaning, several millions of people actually visit the website each month. Here’s an example of an article republished on Medium which got hundreds of responses. Originally posted on SwarmNYC.com. Link to the original post was placed at the bottom of the page. Reddit, on the other hand, is ranked at 9 in the US. It is also popular for crashing web servers due to immense traffic it can give. They call it the “reddit hug of death” for a reason. LinkedIn has 433 million users. Of course the amount of audience will depend on your niche. In our case, blogging and marketing might have a collective of 500,000 audience in these websites (and this is just an extremely rough estimate). 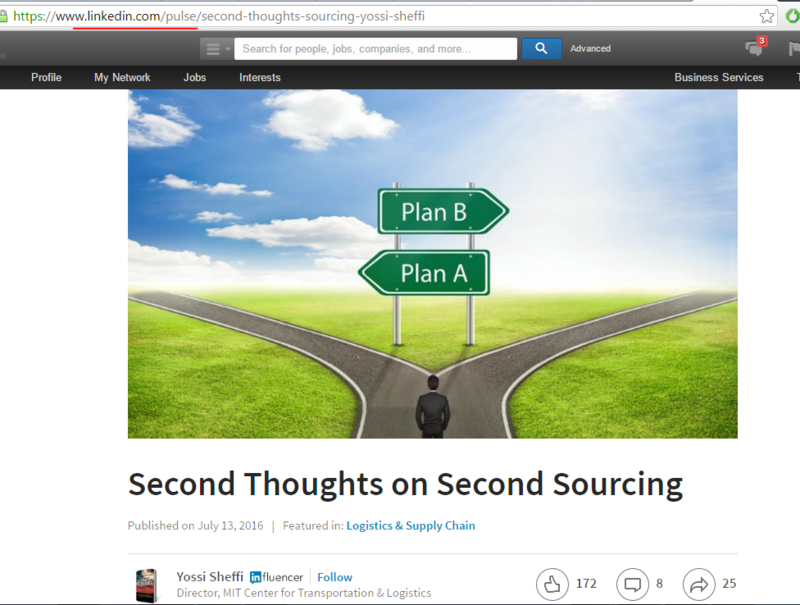 Here’s an example of a republished article on LinkedIn. The post was originally published on MIT Sloan Management Review. It’s a simple strategy, really. But 90% of bloggers do not do this due to the idea of exclusivity. A lot feel like republishing their content elsewhere is just giving it away without any of the benefit, but there is value in increasing awareness of your content and ideas. It’s a way to piggyback off bigger sites and grow your audience. It’s why many writers even provide completely unique content to high traffic sites. In this case you get to post the content on your site first! If you provide good content outside of your own website/product and people like it, it follows that they will seek you out, right? And with great content that’s exactly what happens and why people do it. Only republish content that is at least a few days old to make sure that Google has already crawled your website and indexed it. If your website is very new and unknown, you may need to wait longer. There is always a risk that your blogpost on other bigger websites will rank higher on search engines than your own blog, so don’t be surprised. Don’t forget to provide a link at the bottom of the republished post to remind people where it was originally published. Here’s what we’re going to do to prove, or disprove, this post. We are going to republish this article on Medium, LinkedIn, Reddit, and Storify and in a few days we will post an update about the traffic we received from each website. Subscribe to Munchweb below to be notified of the update. We can also republish our content to Pinterest and Quora. these sites also has huge traffic in India and US. Anyway thanks for the great article. Q: Can anyone create a contributor account on medium and republish some of their quality content or is there any specific rules? Yes anyone can create an account. They do have rules which you can read on their site. Ok Thanks Chris. I will check it out. Hope you are doing well. Advance new year and hope you have a great 2017. Now I have another question. Your republished post, is posted under “SWARM Thoughts” (which I guessed is a company profile on Medium. WHen I follow Larry kim , his post are generally posted under “The Mission”. So if i republish my article then it would be independent post & not under any company profile. Am i right? What are the advantages and disadvantages of that? 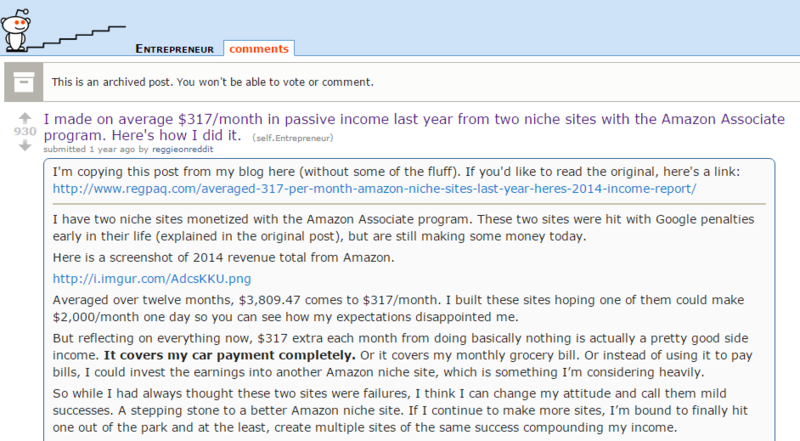 Next Next post: 4 Crazy Online Business Ideas That Worked!